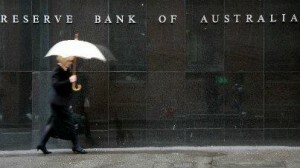 Four major banks will cut variable interest rates following the RBA decision to slash rates by 0.25 per cent to a record low of 2.5 per cent. Westpac has announced it will cut their standard variable interest rate by 0.28 per cent taking it to 5.98 per cent following the RBA decision to cut rates to their lowest level on record. NAB, CBA, Bank of Queensland and St George will also cut 0.25 per cent from their variable interest rates following the decision. The cut will deliver a $45 saving on the monthly repayment of the average $300,000 home loan. It is the eighth rate reduction in this cycle, which began in November 2011, and will provide a major boost for the housing sector and manufacturing as it will push the Australian dollar lower, analysts said. Over the past twenty years interest rates have been lowered during only one election campaign period; in 2001 when rates were lowered by 0.25 per cent two months in succession ahead of the November election. In 2007, Labor were given a major boost when the RBA lifted interest rates on Melbourne Cup day only weeks out from the voting day. The cut was widely tipped by the majority of economists and comes after low June quarter inflation figures which were followed with bearish rhetoric from Reserve Bank governor Glenn Stevens last week. Mr Stevens said subdued business confidence was a concern and needed to improve in order to help rebalance Australia’s economy as the mining investment boom winds down. “There are clearly signs of policy working in this respect, though not, to date, by so much that we see a serious impediment to further easing, were that to be appropriate from an overall macro-economic point of view,” he said. Mr Stevens’ comments indicated a cut was on the cards at the RBA’s August meeting, HSBC chief economist Paul Bloxham said. RP Data national research director Tim Lawless said the further reduction in the cash rate comes at a time when the housing market is already responding to the low debt servicing environment. “Since the housing market reached a recent low point in May last year we have seen dwelling values rise by 6.5 per cent. That equates to a gross profit of around $30,000 for the average home owner. Mr Lawless said the difficulty for the RBA going forward will be how to keep a lid on excessive housing market growth while also providing sufficient stimulus for the broader economy. Lower mortgage rates are likely to provide further motivation for buyers to become active, however with values rising it is going to be more difficult for prospective owners, particularly those without equity behind them, to come up with a deposit. This affordability challenge is likely to be most felt by the first home buyer segment and it may be the factor that continues to prevent prospective first time buyers from entering the housing market, he said. Bernie Kroczek has been in real estate for over 26 years. He prides himself on offering an alternative to the usual way of doing real estate. He also likes to offer plenty of free information to help people make the best decision when buying or selling property.